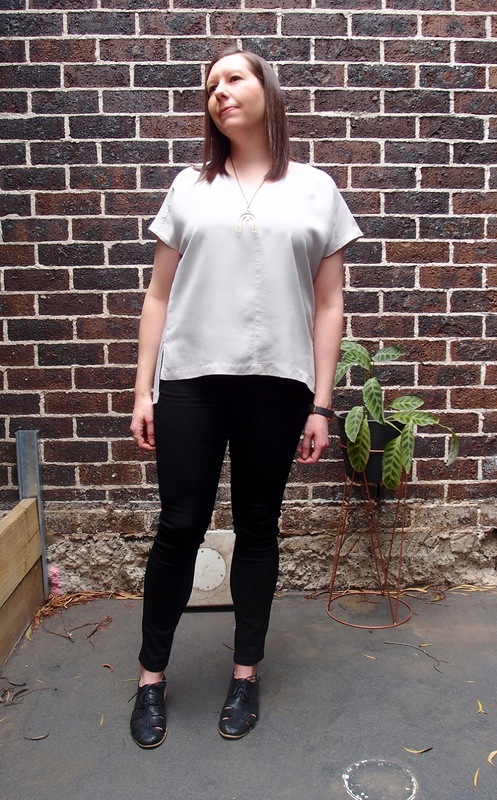 I made my first True Bias Sutton Blouse a few years ago, not long after I started sewing, and it quickly became a wardrobe staple. Made from black viscose, sewing it felt like a bit of a turning point for me. 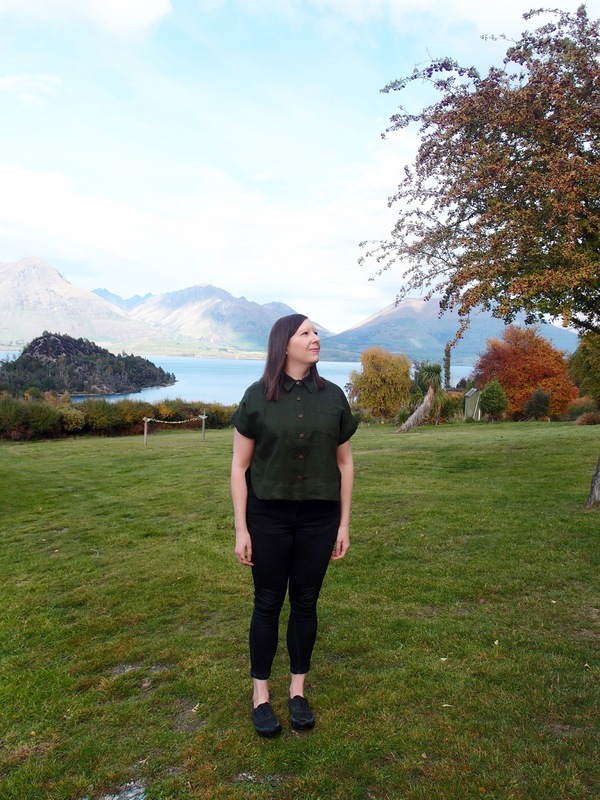 Here was a garment with French seams, a yoke, a V-neck, kimono-style sleeves and a split high-low hem – all details I hadn’t attempted before, let alone in something other than cotton fabric. It was – and still is – a top I reach for at least once a fortnight, although these days it’s showing signs of wear and probably needs replacing. I will get to it eventually, but in the meantime I thought I’d add another version to the rotation. 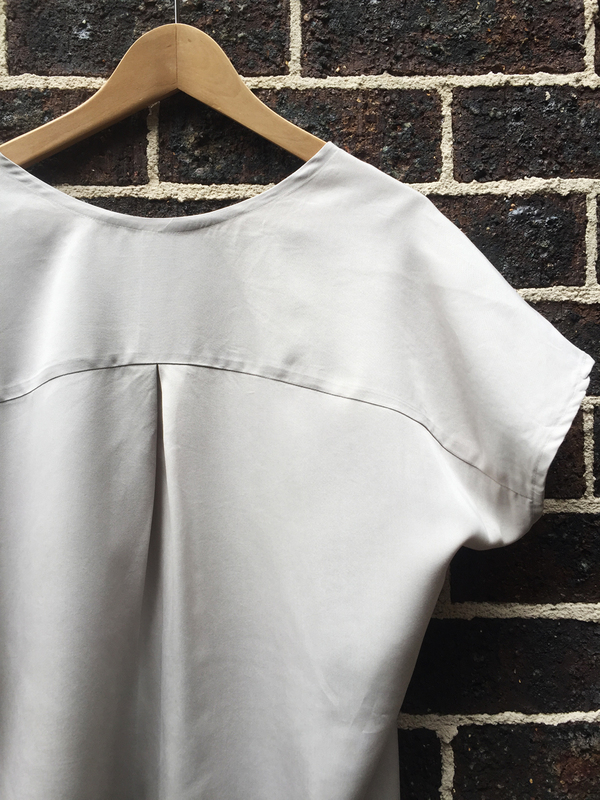 The Sutton Blouse is ideal for fabric that has some drape, but isn’t too thin. One of the challenges I’ve found is that fabric like this isn’t always easy to come by, at least not in person, so when I spotted this stone-coloured lyocell Tencel in my local Spotlight I snapped some up. 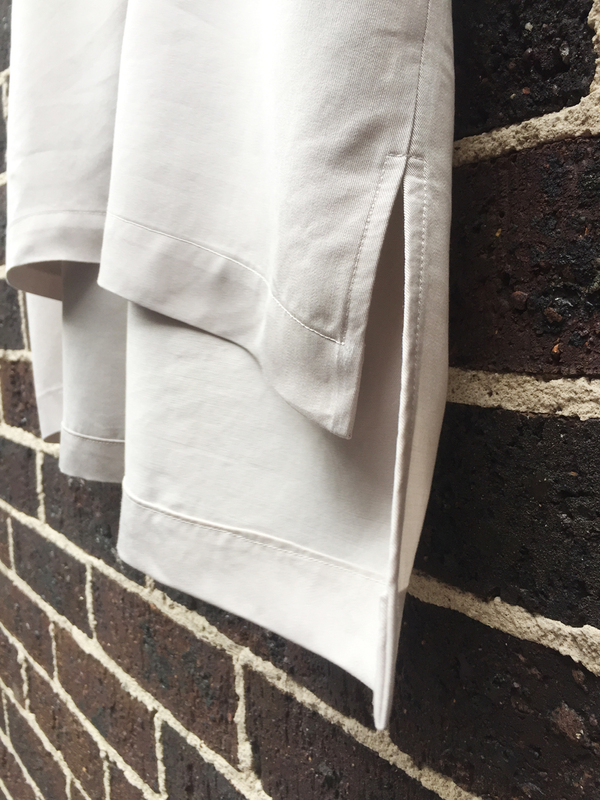 This was my first time sewing with Tencel and it was really lovely to work with – while not organic, my very basic research tells me that Tencel-branded lyocell is a sustainable fabric, regenerated from wood cellulose. I'm pretty certain this won't be the last time I sew with this kind of fabric! 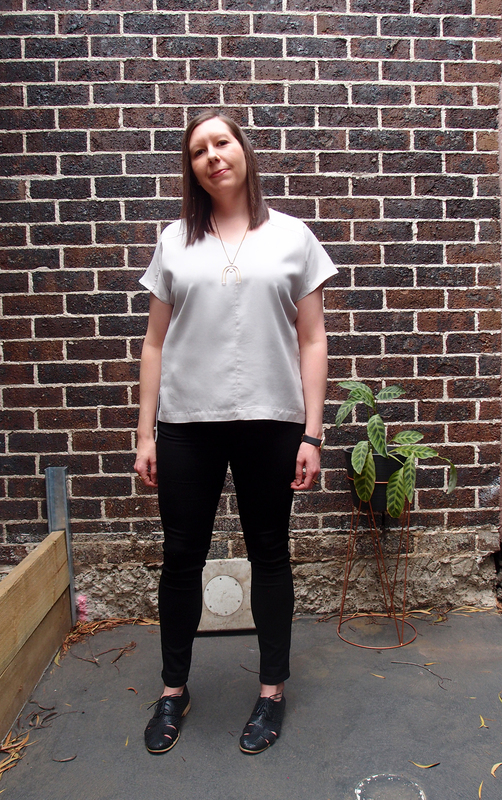 I sewed up this Sutton Blouse in a size 14 without any modifications, and it’s loose fitting without being too oversized. 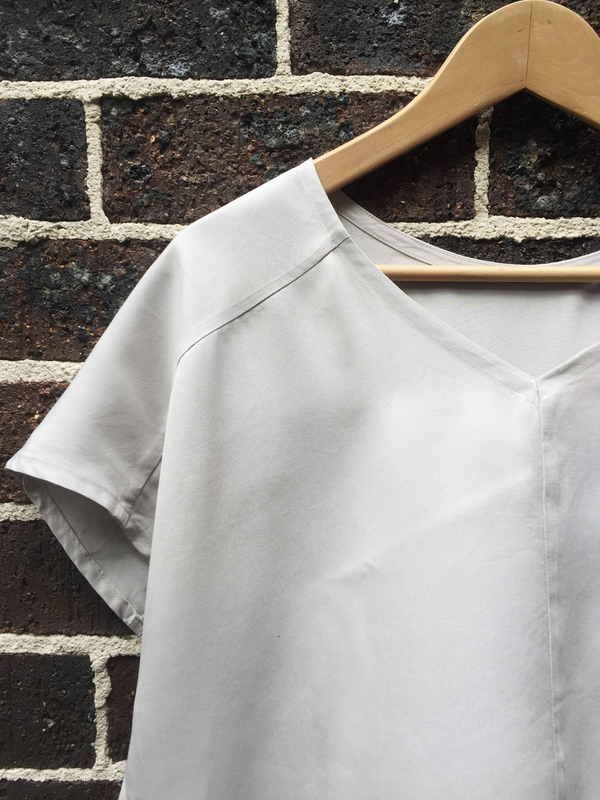 I usually wear it like this, with jeans and a necklace – the perfect unfussy work outfit. 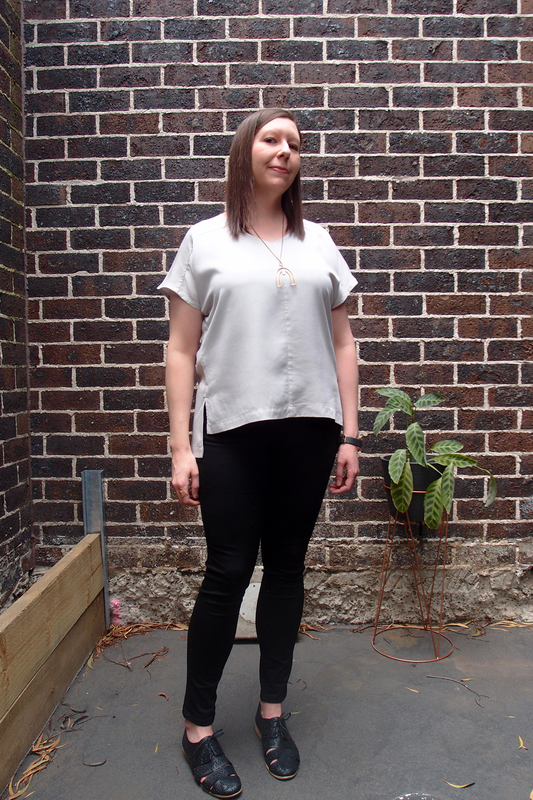 I really like the drafting details Kelli from True Bias has put into this pattern – especially the V-neck and split hem – and it’s all neatly French-seamed on the inside. 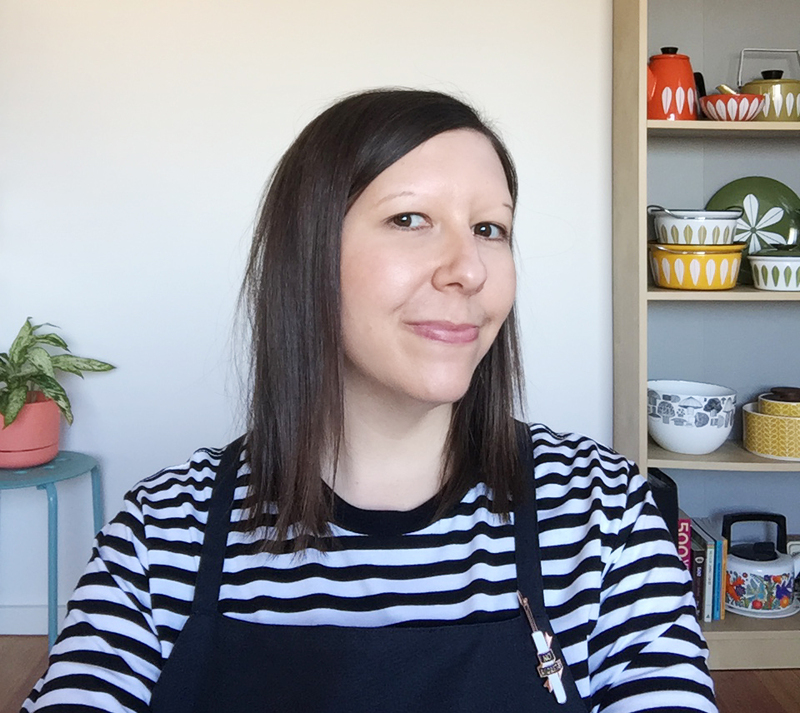 Kelli has a really great sewalong on her blog that steps through the whole process, so I’d highly recommend this pattern for any beginner sewist looking for a challenge. Welcome to blogging. I can’t believe I haven’t sewn up this pattern yet! Adding it to the summer to sew list. Thank you Anna! It's a great tried-and-true pattern. This top looks fabulous 👌 I love your detail photos.the blog is looking great.